Paleo hotcakes. Easy, fun and healthy breakfast recipe! Why did you click on this recipe post? It’s gotta be the picture. Are we right or are we right? YAY for these paleo hotcakes. It’s such an easy, fun and healthy breakfast recipe! These paleo hotcakes will make your Sunday a Funday. Actually, they’ll make any day a Funday. Perfect for the weekend and even more perfect when you’re hosting a healthy brunch. This recipe is another epic recipe from our #GetMerry Challenge. Seriously, you get to eat stuff like this! Absolutely no ‘missing out’ ever. Ahhh so much epicness. This is the stuff that motivates us to create these challenges. We know that a change in diet can lead to a massive life shift in the most magical way. Check out more recipe pics and find out about our very first Live Health Summit. Becuase good health isn’t just about food. 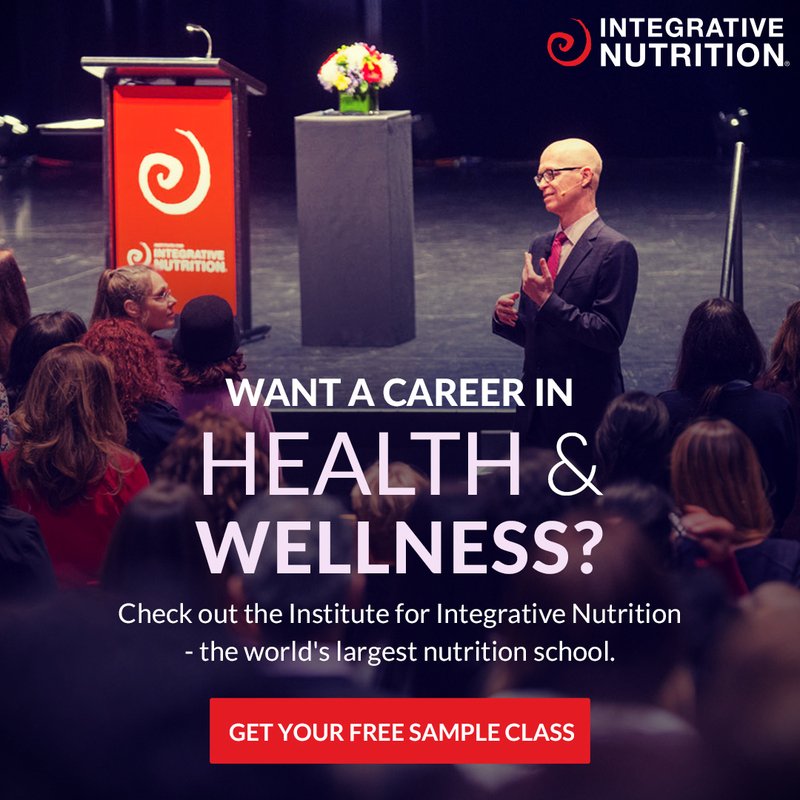 Learn more about the challenge HERE. How much do you wanna lick your screen right about now? Haha kidding. But how much do you wanna go and whip up these paleo hotcakes right about now. Yeh, we thought so. Go. Check the fridge. Check the pantry. Do you have all the ingredients? 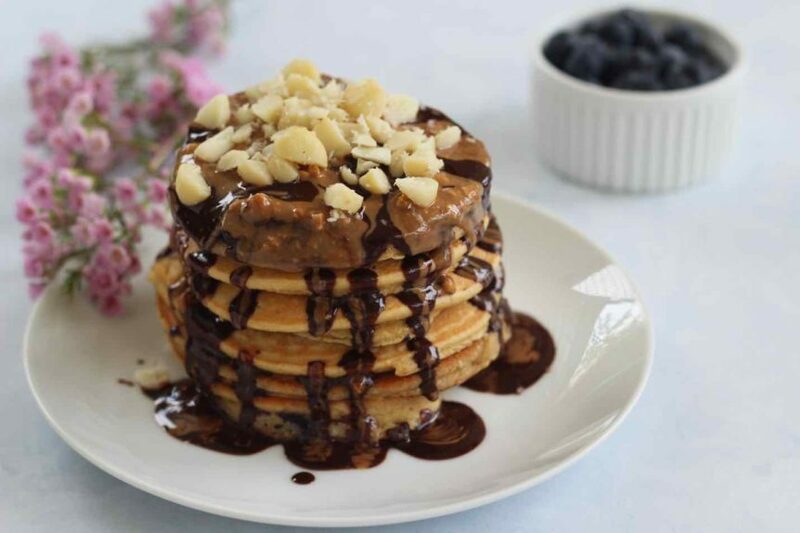 Also, we highly recommend you drizzle your hotcakes with the goodness of nut butter and sugar free chocolate. No reason required. Duh. 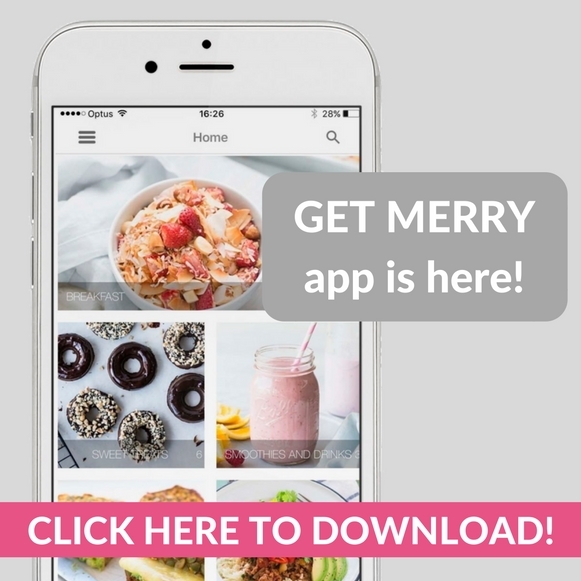 P.s Don’t forget to check out the #GetMerry Challenge HERE! We wanna welcome you in! Place all of the hotcake ingredients (except the blueberries) into your blender or food processor. Melt a little coconut oil in a large fry pan on low/medium heat and place ¼ cups of batter in the middle of the pan. Add 3-5 blueberries to the top of each hotcake. Cook each hotcake for around 4-5 minutes. Flip VERY carefully with a spatula and press slightly so all the raw batter cooks evenly. Continue to cook pancakes until all the batter is used! Now have FUN topping your stack of pancakes with all the FUN toppings! YAY! You can swap blueberries to any chopped fruit you like! Or leave them out if you can't be bothered.